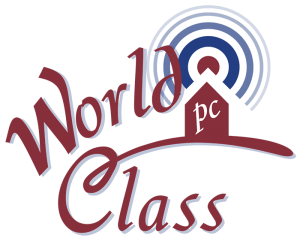 At World Class PC we get EXCITED about Smart Home options. The possibilities are endless. Forget fumbling with your keys – you can unlock your front door from work. Lower monthly energy costs with climate control technology and see the savings roll in. Let our experts help make your home as smart as you; call us today for an in-home visit. We work in homes of all kinds – large or small, new construction or older homes – and with all budgets. Solutions for a SMART & COMFORTABLE home. With advanced technology like Control4 & NEST, your house can respond to your schedule and needs with little effort from you. Learn more about Climate & Comfort Solutions available through World Class PC. Discover how good sound can be. World Class PC are experts in whole home audio. See what we can do for your home entertainment. Let the light in... on your own terms. The ultimate in window covering luxury, automated shades. A Mockupancy™ scene will alternate lights and shades—and even televisions—in a random fashion so that your home simulates your family’s activities to make it appear occupied while you’re away, providing additional security and added peace of mind. Your Home records up to 2 weeks of your Lighting and TV Actvities, then while your away the system replays the lighting and tv activities to simulate that your home. Lighting replay levels can even be reduced to save energy while your away and still add security. Home safety and security is a high priority in home ownership. We help ensure that your family is safe and secure using all of the newest technology.